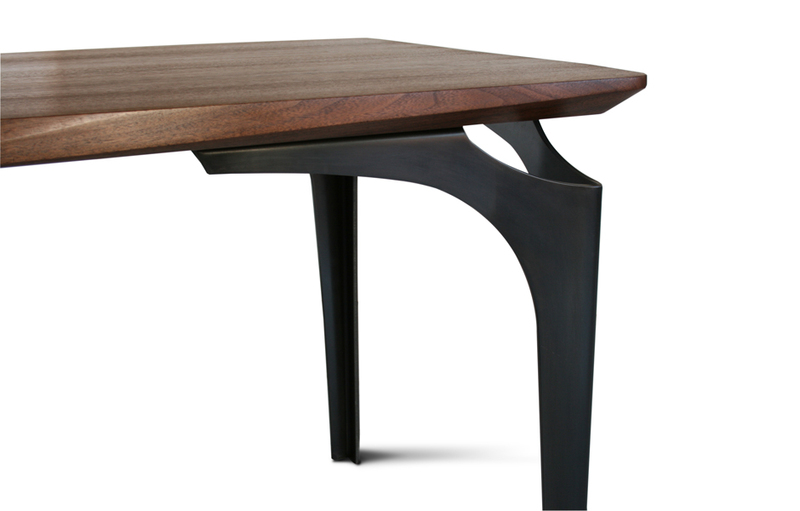 A more articulate version of our Stiletto Dining Table. This one has a series of bevels along the tables bowed perimeter. 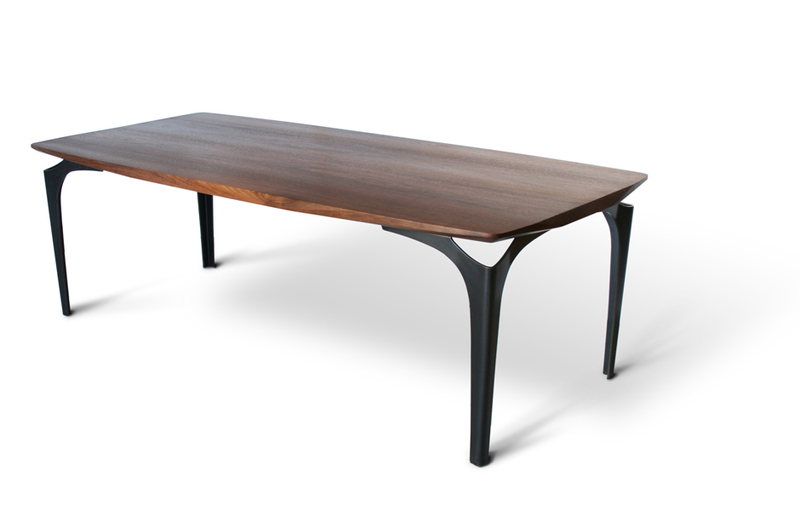 With its legs at the outermost corners this table is ideal for benches. The legs could be many metal finishes. 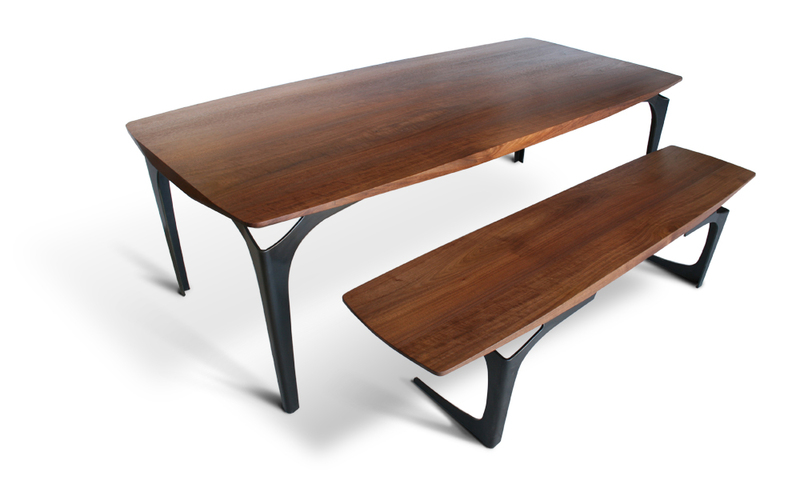 Shown in Blackened Steel and Black Walnut. This piece is made to order, and so can be made in a size of your choosing, in a variety of wood, metal or other material finishes. Lead time for custom pieces can vary from 6-12 weeks depending on workflow and complexity of the furniture piece. Please call us for current lead times or if you have strict timelines. We are happy to work with you to the best of our abilities. Since each piece is made to order our price range above gives a good estimate for many different options. The actual price will vary by material, finish, and size of piece.